great but still think blonder suits her better. Almost there aren't full length trousers nowadays or floor length. It is said these ones enlarge the figure. I know that several trousers lengths are presently on, I think they are a nice way to introduce variations in style. So to me they are ok, I don't necessarily need the traditional length. A million times YES to full length trousers! Why? The best part of most legs is the ankle region - why not showing it? Straight and long is fine; but sometimes you need something younger, different. Skinny and long is only for some women (like Kate)an option. Wide and long is something for large women (like Maxima). But for a "petite" like Letizia it is a very good choice. Me too! I don't mind short trousers for weekend/casual looks when worn with flat shoes/sandals but not with heals. Yes I am old fashioned, I like women's trousers to brush the back of their heals and the front of their shoes, and they don't need to be wide leg, palazzo style pants to do this. Letitia should get the hair highlights again. A great outfit last Easter and today. I like the buttons, length and style of the trousers and the polka dot blouse is quite spring-like. Her hair is so healthy looking and the color is flattering on her. I still love these pants. I think this is a great time in fashion with trousers. There are so many choices with pants, with different widths and lengths. 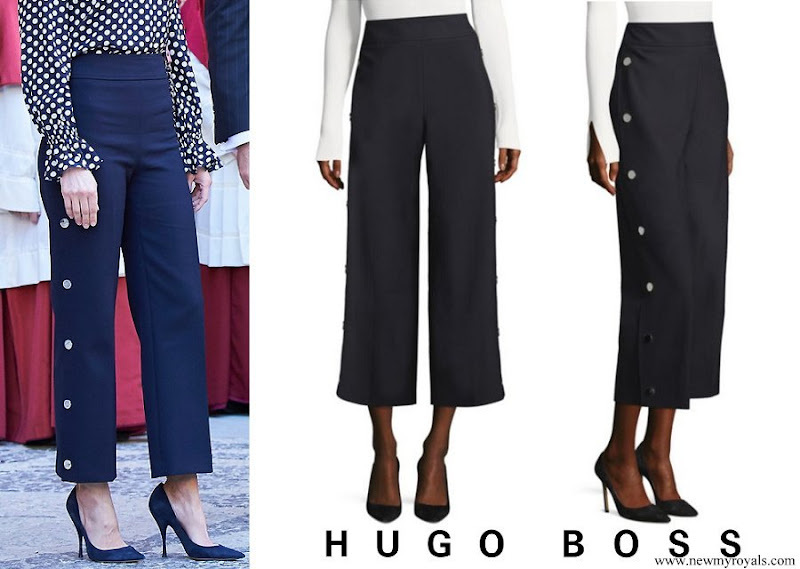 Letizia wears these very well, and styles them perfectly. Das finde ich auch. Agree! Absolutely and yes as someone else said she rarely disappoints. Encantadora. Un maquillaje ligero, una piel magnífica y ropa práctica y bonita. 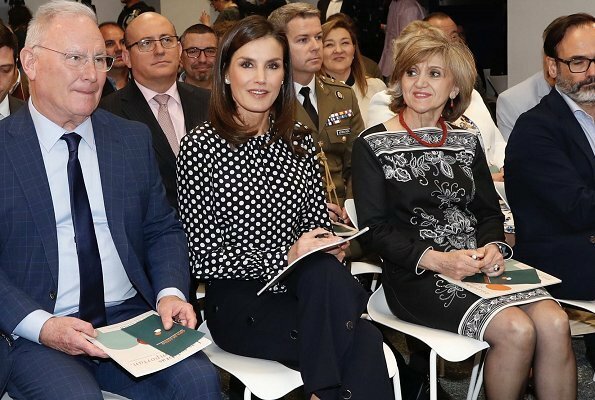 La Reina Letizia cuida su cabello. Se ve sano y brillante. 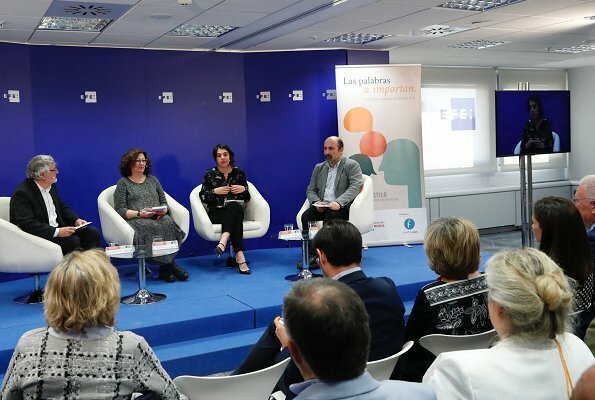 Bien por ella si ha decidido no quemarlo con tintes por la tontería de parecer más rubia. Otras deberían tomar nota. Wonderful outfit - love it all. Her hair is glossy and in great condition but personally I prefer it a little lighter.